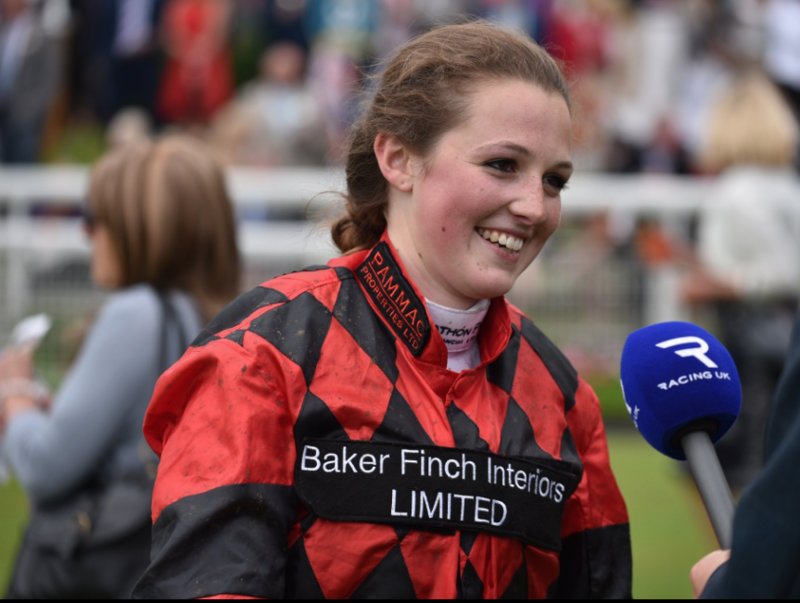 A very happy 25th Birthday was enjoyed yesterday at Pontefract by Emily Bullock when she timed to perfection her first ever career winner! About 50 Pontefract members had been given a tour of Richard Fahey’s yard yesterday morning and their day must have been made complete when watching the first race, The Audrey Martin Memorial Ladies’ Handicap for Lady Amateur Riders. 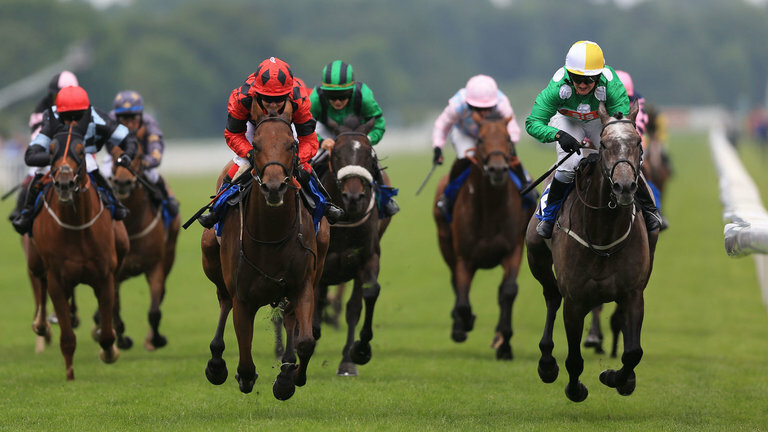 With Emily riding BELLE TRAVERS for Richard Fahey, the partnership tracked the leaders, moving into second 2 furlongs out before going clear entering the home straight and maintaining their advantage all the way to the winning post. Belle Travers won by 4 1/2 lengths from Harriet Dukes and OBBOORR, with Serena Brotherton and WOTABREEZE another length and 1/4 back in 3rd. “Its a great feeling” said Emily. “I’ve been with Richard for two and a half years and had a few rides and I’ve been waiting for this.” Many congratulations Emily and here’s to many more! 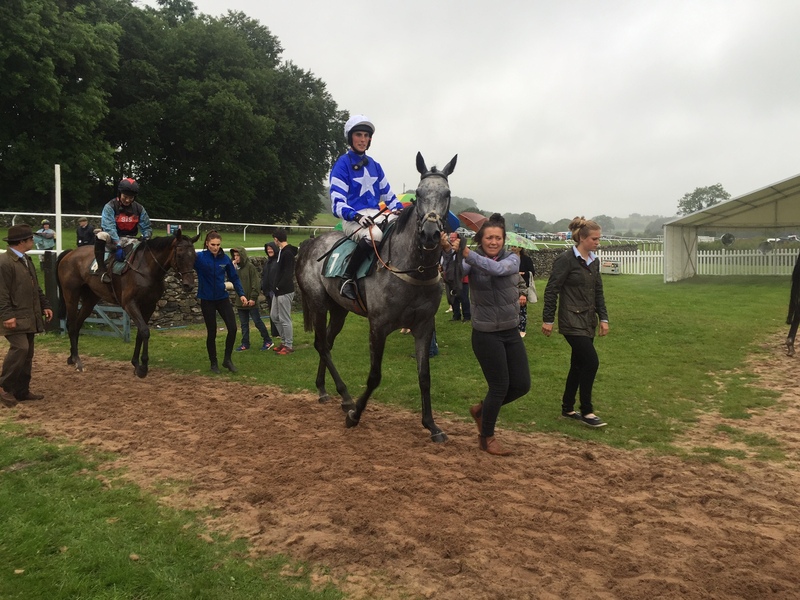 Amateur jockeys headed to Cartmel Racecourse today for the 2nd running of the Anglo Irish Handicap hurdle won last year by Richard Deegan for Ireland. 2 teams of 4 went to post with Ireland represented by Roger Quinlan, Declan Queally, Aileen O Sullivan and Helen Mooney whilst GB was represented by John Dawson, Harry Reed, Jodie Hughes and Claire Hart. David Symes-Meineck made up the field of 9 runners. 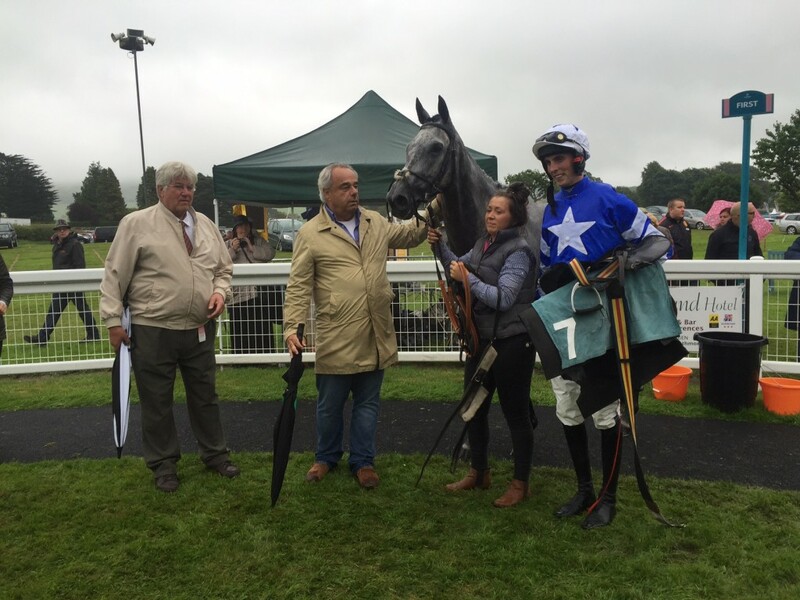 Having won the Best Turned Out, Martin Todhunter’s WISTY cut out the running on the softening ground, incessant rain falling from early afternoon. John Dawson made all and was able to maintain a good gallop in the energy sapping ground to stay on well and score for GB by 1 3/4 lengths from Ireland’s Roger Quinlan on James Moffatt’s BORUMA. Ireland’s Aileen O’Sullivan just held on for 3rd by a short head on James Ewart’s SLEEP IN FIRST from fellow team mate Declan Quealy 4th. Congratulations to John on a great ride! 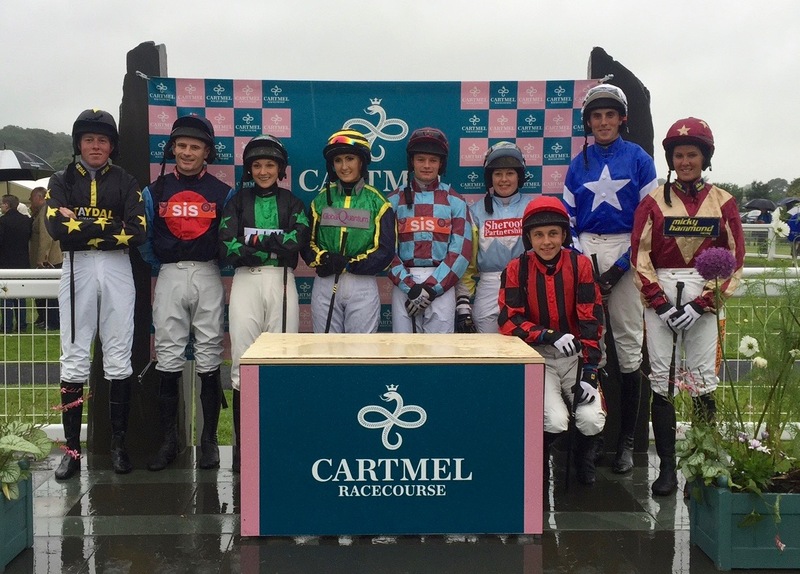 Huge thanks to Anthea Morshead, Jonathan Garratt and all at Cartmel Racecourse for hosting such special race. The score is now 1 all! 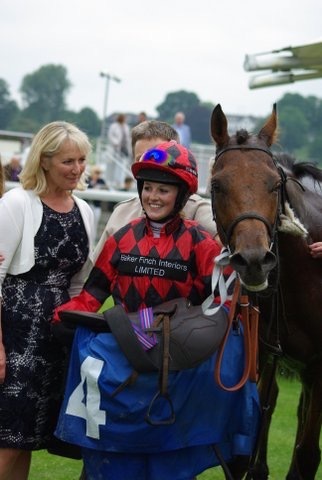 The next question is, can GB take the Ladies Diamond Hurdle eagerly awaited which takes place back at Cartmel on 16th July and was won last year by Ireland’s Lisa O’Neill! 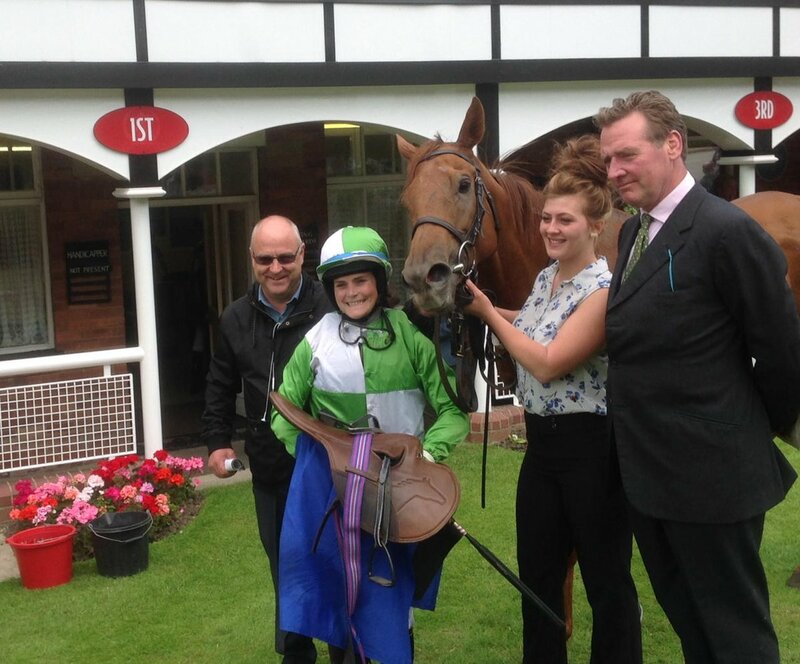 HUGE congratulations to 20 year old Emily Easterby, daughter of trainer Tim and sister of amateur jockey William, on riding her first career winner today at York when partnering SNOANA in the Queen Mother’s Cup! This was no mean feat with this race now being the richest ladies race within the ladies amateur calendar!